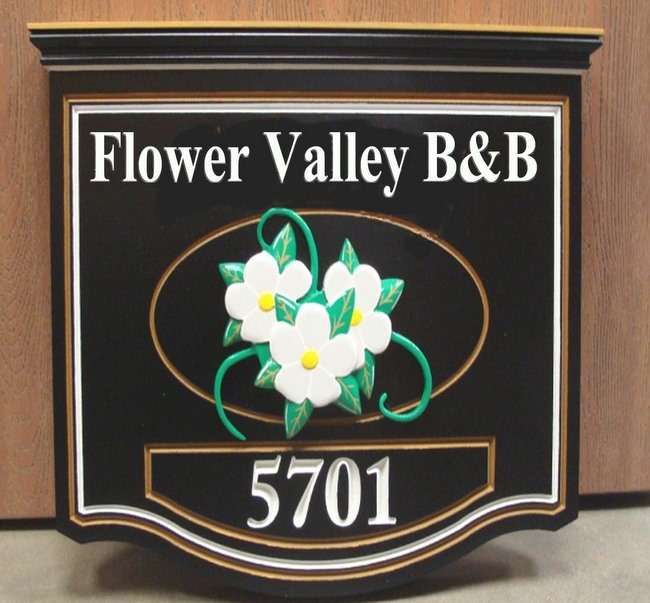 This double-face premium sign is made of carved HDU. The text is V-cut engraved. The flower, raised above the background, is carved 3-D bas-relief and painted with an airbrush and artist-brush. "Guest Cottage" is on a removable overlay. The top has a wood molding to provide better support and a decorative effect. The sign is clear-coated twice for additional protection against UV radiation and moisture.